Are you wondering what kind of werewolf you might really be? 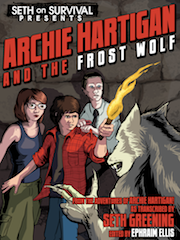 Or facing a real werewolf and need to know more about who you’re dealing with? 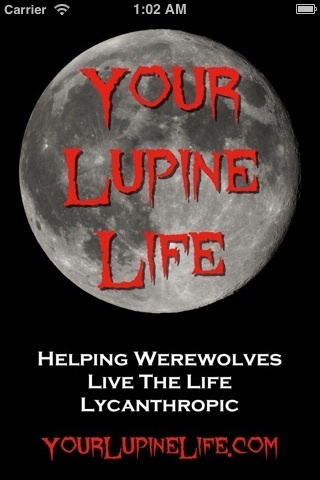 You may need The Lupine Life iOS app . Luckily it’s finally available now for your iPhone, iPod Touch or iPad, free on the App Store. Ever wonder what kind of werewolf your friend is? As you may know there are many, many kinds of werewolves from many parts of the world. 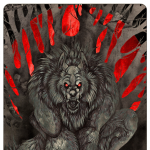 On this site alone you will find there are 12 Clans of werewolves who come from 11 different true werewolf histories from all parts of the globe. There are also 6 alliances that invite werewolves like you to study and grow their powers. But there are many more and so this list and the true stories about them continue to grow. With the Lupine Life iOS app you can uncover your true werewolf identity and give you clues about the kind of werewolf you might become. The Lupine Life mobile app also helps you keep track of the moon phase so you can plan your lupine life without wolfing out. Even if you are a werewolf who time travels like the Aeolian wolves and some members of the Oak Clan, you can know the lunar phase on the day you are going to and also the day you were born. 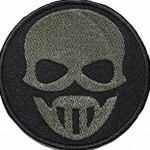 Special thanks to Seth G. from sethonsurvival.com for replying to our emails late at night when we had problems with the app and of course for his continued friendship of werewolves like us. He helps us all keep on keeping on! There’s lots more stuff coming up to the site and in the app so check back regularly. 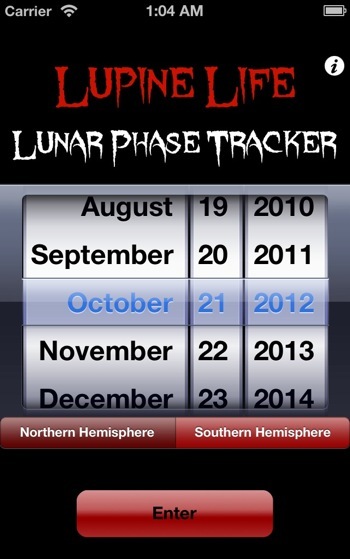 Also check out Seth’s site tonight for his Blood Moon Survivor of the Month Contest and more. 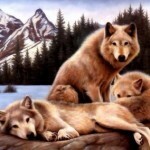 This entry was posted in Werewolf News and tagged Lupine Life app by Rip. Bookmark the permalink. can you make lupine life app for android? I think I might be a genetic werewolf but I’m a cub so I need advice! I’ll be glad to give you any advice or answers to your questions. Just message me. so now that im a werewolf is my human life is over?????? Not necessarily; you can still live out your human life as much as you’d like. You can keep the wolf side of you a secret, or share it if you’d like. Nonetheless, you’re still the same person you were before you changed. Just because you changed physically, it does not mean you changed personality and mentally wise. I would like to become a werewolf. Will someone accept me or give me information to get accepted? I need this much more than it sounds. I really do. first, not a good idea to use a real picture. second, why do you need it? I may be able to help, but only for the right reasons. Yeah my iPod did that and because my life has been a dismantled pile of poop for anyone and everyone to dump their hatred on. I’ve been abused by everyone and I want to finally feel accepted by someone or something. I want to be able to be myself. I see, I may well assist you then. 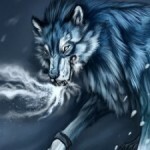 I changed my picture ice fang it’s a little weird but when and where? I am interested in your appeal. Methods include: Genetic(born) and Magick. The latter is what you are going for? If you are still interested, reply so we might discuss this. 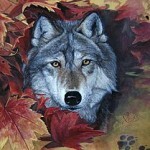 I come from Ontario Canada, I am looking for a pack that would be happy to take me into their pack and turn me into a werewolf I would appreciate it very much if someone could message me on my account thank you. Alright, do you need to know anything? And also will I be able to adopted into a clan? Fenrir, I’ve been a little strange lately. I havent been experiencing my usual lol-your-transforming-wait-lol-your-not-because-this-is-too-much-work-for-me-I’ll-just-pass-out-now-kay. Have I not been a werewolf all along? If not, please place the mark upon me. My whole life is a lie and a piece of crap. People have bulied me and tried to murder me. I want an escape. I need the mark to. Will you please help me? Ice Fang (Fenrir), would you please contact me through my account? I have some important information I would like to share with you. I believe that you can aid me. What are signs that I am a werewolf? What do i have to do to be “marked” ? At times it feels like something inside wants out. How do i get it out? I haven’t felt it in a few years though. Hey, um I could use some help. It seems when I register the website says: ERROR: The answer to the security question is invalid under what type of supernatural are you and what I put isn’t working, I really want to joking but it won’t let me, what do I put for what supernatural being are you? I believe I may be a werewolf. My senses are better than most I know except for a small group of friends I hang out with. 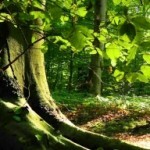 I have weekly dreams of running through a forest and always can notice every animal near me. I’m insanely good with any animal and dogs have recently started to act respectful towards me when ive never seen them before. I have also recently felt strange and have felt stronger faster and more energetic. I can sense my friends when there near me and I suspect they are werewolves too. I also seem to have an unnatural attraction to the moon. Whenever I notice the moons out at all I stare at it constantly and feel something stir in me. 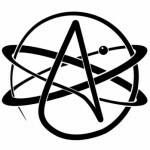 I need help finding out if my suspicion of myself is true. if anyone can help me please do. I’m all set on yes, you are one. ne plus I’ve lost when I lost 12 teeth in there place came canines plus when ever I’m out side I can’t keep my eye of the moon I know I’ve not been bite but how do I know for sure. Its dificult to know for sure then. Could time travel be an innate ability? My interest on this subject is piqued. Aeolian Wolves are werewolves with aerokinetic abilities. Aerokinesis is the manipulation of air. Members of the Oak Clan are winter werewolves who are frequently aided by faeries. What does the element air contribute in time travel? It’s not so much air as that those who use the air are better able to understand the fluid twists and turns off time. I don’t condone time travel more have I ever seen someone really go into the past successfully. Even if one could accomplish this any “changes” you made would have already happened before you moved through time and therefore you wouldn’t really be able to change anything. It did work and I will wolf out in the full moon. But I get dreams of wolfing out not real life. Can someone finally help me please. I want to turn. I want to be bitten or how ever else you can do it. I want to be useful. I want to have the feeling to be wanted someone help. Please. If this friend of yours is a true wolf and he says you are then you are. But I fear hearing you story that you will misuse this power for revenge, or other selfish reasons. Resist the urge to do this and use the power for good. The “Greek gibberish” wasn’t Greek or gibberish. As for that last bit who told you that? Without transformation the whole idea of werewolves doesn’t work. I said that once to someone who was too young. I wasn’t saying all ww can’t transform. My friend now said shortly after that comment “okay here is the honest god truth” werewolf can transform, but there is about a 15% chance you will live through the first transformation.” I told him i don’t care. And he said NOPE I AINT LETTING YOU KILL YOURSELF. Please help. I won’t contact you through your email but I am more than happy to PM if you make an account here, friend. I need to message you urgently. Contact me. take care guys, & be safe, Kujo out. Can ya’ help me out? I hear and see things my friends and family claim to know nothing of. I have déjà vu about 3 times a day. My dreams vary from others, I always see this girl who looks like an ancestor who turns into a werewolf. She’s constantly appeared in recurring dreams for months now. My dreams are much more vivid. I have on occasion bared my teeth or snarled at people. Animals immediately fall in love with me. I feel watched all the time. Maybe I’m just paranoid? I’m faster and smarter than anyone else my age. People always stare at me and shiver. I see them shiver. My attention span is horrible. I suspected ADHD, but no one else seems to notice. I sense something wrong in me. Something sets me apart from others. I feel it. I don’t brush my hair unless I’m forced to. I keep my appearance tidy otherwise. This is me. Am I of the Wolven Kind? I feel so sorry for you. People treat me different in school. They run away from me and I always think they’re scared of me. My point is, they don’t treat me like them. Watch your dreams. They show you who you are. Believe in them. I guess. They show me who I am. I love my life as a werewolf, but I’m fighting against something that is now in my neighborhood. I don’t know what it is, but it has got to go away. Well… It will be all alright. Just, we are werewolves. We are strong. Thank you. It has been a pleasure meeting you. I know how to draw. 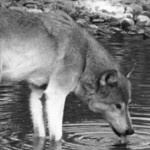 I drew a picture of an element wolf, which was water. It stands on hind legs. I could copy it off and make me a Bone Werewolf. I will make it ferocious. Like me. I love to draw. I could draw you something. What do you want me to draw? I could have wrote the same thing and everyone would say, “Yep that’s you all right, -not giving out my name xD-” I wonder the same question, I started getting these feelings of extreme pain since the age of ten every full moon before they abruptly stop and I black out. I thought there was something wrong with me and after being diagnosed with anxiety I thought it was a bad panic attack. I found this website, looked into it and thought otherwise. 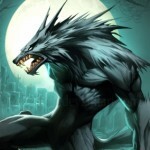 As you said, am I one of the Lycanthropes? If not… I cannot express my disappointment, sadness and I-give-up-ness. I think I finally found diagnosis for my condition. Maybe I haven’t. Maybe I’m in denial. Aw darn it I wanted to put a picture there. Sorry, this is a Photbucket issue. There is no way to post a direct link to the picture so it cannot be embedded. Too bad because it is a nice picture. Yes, it is for real. So how does someone become a wolf?? Genetically, marked by Fenrir, bitten (though do not ask to be bitten because you can’t trust anyone on the internet and also bites are not 100% safe, some people die from them), insert the blood of a genetic into yourself, be bitten by goddess Bau or descendants of Bau etc. And if I get bitten I’ll turn into a werewolf? Like a big wolf or a wolf man ape looking thing? A wolf. 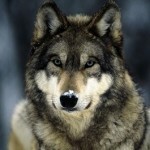 Only trained wolves that have high willpower can shift into a hybrid. 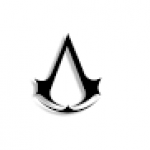 I, personally, only use that for assassination. The brute strength is an upside. 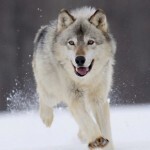 I often have dreams about a white wolf, my father does as well though we don’t speak of it much, I researched my family history about a year ago and found that we came from a Germanic tribe called Randolph which means shield wolf, I suspected that these dreams might be linked to that, are dreams a precursor to some kind of change?? When you feel like everything around you is dying. When you get treated like garbage. These are some problem I have I want to become strong and face them. 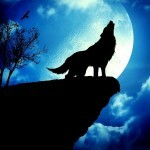 Can someone help me I want to become a werewolf.! Ice fang I feel with every fiber of my being that I amay a wolf. I am young but have never had a change. A family member claims we are decended from a native American werewolf line but I have never asked for his research to check myself. How could I know if he is true without talking to him myself I try to avoid him. I just know, I can feel that I am meant to be a were but it hasn’t happened yet. Can u help me find my way? Hello. I want to know if I might be a wolf. I have currently figured out that my father was born on the full moon. My half-sister was too so i’m worried about her because even though she’s 5, she acts like a wolf sometimes. Anyways, I have a strong connection to the moon. I feel more powerful under it’s gaze and I feel stronger. I can sense heat coming from a person and now, I end up feeling like i’m being watched. I have gotten strange bruises on my legs sometimes after I fall asleep. 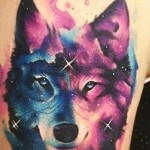 I have had dreams of being a wolf’s footsteps and I have had the same dream vividly for about a month. I am 11 year’s old. I suffer from small amounts of insomnia. When my parents expect me to be asleep, i’m playing games on my computer or watching t.v shows. For a few month’s I have not been able to keep still. At least one part of my body is always moving, rather that’s my finger, leg, or toe. At night, i’m faster and stronger as well as I can SEE better even though it’s dark. As I said, I can sense something that may be there. I prefer to be outside at night then at day. I don’t get as cold as I used to. Last night, I got angry at my parents for something pointless and ended up like, killing my pillow. I grow fast and I was born a MONTH EARLY, three days before a full moon. I have a strong connection to animals, dogs specifically and whenever I go close to them, some of the meanest dogs shut up and pay attention to me. The only time something bad happened to me because of a dog, a dog bit me hard on my leg. When i’m angry, my eyes sometimes turn darker. When i’m not angry, they are a dark brown. When I was younger, I had a strange out of body experience. As I was walking swiftly in a hall way, I seemed to have become my friend. I could see myself from across the hall, with a shocked expression. As quickly as it happened, it stopped. My dad calls me a “walkable heater” because I give off heat from myself. I have an amazing memory and can hear my friends whispering from a few yards away. After my whole out of body incident, I imagined my brother telling me something later that day while i was sitting in class. As it happens, when we were on the bus, he told me the same exact thing and I completed his sentence. I don’t need covers anymore and I will beg to sit outside. I will watch the moon rise from the porch of my house. I keep on my fan and i will open my window when I go to bed. I have been a werewolf for a while now- almost 9 moons. My life changed. I am happier, more confident and more secure in myself as a werewolf than I ever was when I was human. To any newbies who are nervous of the journey ahead, it gets better, it really does. Figure out your plan for the full moon, and keep to it, and you will be able to enjoy the rest of the month with ease. Stay hopeful. 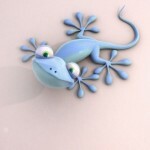 Hi Verglace!!! it’s me, Silhouetteshadow!!!!! For some reason, I’m not getting the email for account verification. Is anyone still offering help on this sight? Nice, but I can’t use it for my windows phone. Might I request that this app be updated to support iOS11, the app is unavailable to me until so. The app has been updated for iOS 11 and 12 so you should be able to get it now. Hello, I’m a genetic werewolf on my mums side, my friend noticed my eyes turn yellow last time I got angry and later figured out I was a werewolf, does anyone have any ideas of how to help conceal it? 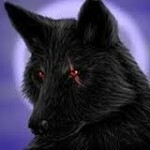 Has anyone used a working werewolf or dragon transformation spell please let me know thanks.